A new superhero is on the scene to inspire reluctant readers in a comic book style picture book. Hugo, a beagle puppy, transforms himself into Mighty Reader when his canine classmates run into reading disasters. 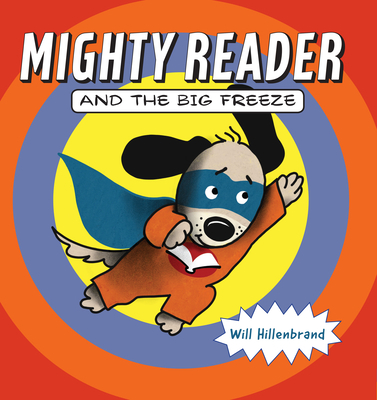 In his first adventure Hugo's his new friend Barkley freezes up he must read aloud in class. Mighty Reader gives Barkley the confidence to put on a performance that even impresses the visiting author. Filled with terrific advice for new readers, this book is inspiring and filled with humor. Will Hillenbrand has written and illustrated a wide range of picture books for children, including the popular Bear and Mole series. Spring Is Here won the Please Touch Museum Book Award. What a Treasure! a Pennsylvania One Book, was written with his spouse Jane Hillenbrand. A seasoned elementary school teacher, she serves as an advisor on the Mighty Reader Series.